A history of Israel is one of persecution, struggle, oppression and survival. Long before Jacob became Israel, since the ancient beginnings of Genesis, this tiny nation has been in a constant state of survival. From the moment of Abraham's arrival in the land of Canaan, God's people have been surrounded by enemies on all sides. Over the course of its history, time and time again, this band of 12 tribes has faced extermination, yet today stands among the worlds elite. It is no coincidence that on the worldwide center stage is a country the size of New Jersey. Since the Pharaohs of Ancient Egypt, to the Caesars of Rome, Palestine has been caught in the middle of power struggles amongst empires. Born in the "Cradle of Civilization", the ancient Jews struggled against all odds to survive. 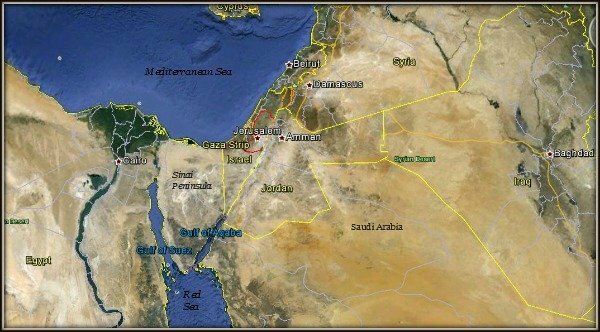 The Old Testament Ancient Near East was made up of Palestine, Lebanon, Jordan, Syria, Iraq, Kuwait, Saudi Arabia, and the Zagros mountains located on the westernmost edge of Iran. It was here that the cultures and influences of three continents converged - Africa, Asia, and Europe. Together these three cultures each left its imprint on the history of Israel. God's chosen people have faced persecution from nearly every single empire that has dominated the earth from the beginning of time. From the slavery of the Ancient Egyptians, to the Holocaust of the Third Reich, how is it possible that this nation today stands so strong? The answer can be found in the Old Testament. The first five books of the Bible make up the Jewish Torah, or, the Books of Moses. It is in these books that the history behind God's people is revealed. God made a covenant with Abraham that stands as true today as it did centuries ago. And God has consistently delivered over the course of time. 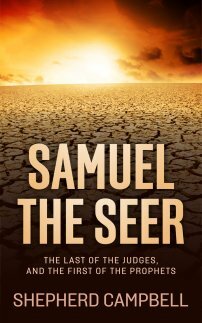 His latest deliverance was one of no less significance than anything found in the Old Testament. "My people, and I will bring you into the land..."
A VIEW OF THE TEMPLE MOUNT & GOLDEN DOME OF THE ROCK FROM THE SLOPES OF THE MOUNT OF OLIVES. Please pray for the Christians in Iraq currently under attack by the barbaric acts of Radical Islam. Their struggle is one of life and death. God please protect Your children. "Rejoice, and be exceeding glad: for great is your reward in heaven: for so persecuted they the prophets which were before you." "If the world hate you, you know that it hated me before it hated you." CURIOUS ABOUT OLD TESTAMENT DATES? Click on the link to view this Old Testament timeline and various dates within the ancient history of Israel. "The sun will be turned to darkness and the moon to blood before the coming of the great and glorious day of the Lord." Throughout the history of Israel, to the present hour, conflict and war characterized the relationship with Gaza. King David repeatedly called Yahweh his rock, shield, fortress, deliverer, stronghold and Lord. May Yahweh continue to protect His inheritance as He did in the days of King David, especially during the current heightened conflict with the Gaza Strip. 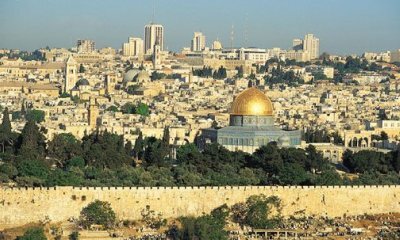 Israel-a-history-of.com extends a thank you to the many visitors from around the world. Persecution of the Christian & Jewish faith continues in many corners of the globe, from Boko Haram & Radical Islam in Africa & the Middle East, to the Russian invasion of Ukraine and registration of Ukrainian Jews. May God protect, bless and be with His people in every nation, state and corner of the globe. Anti-semitic ads may appear on the site from time to time. Israel-a-history-of.com aggressively seeks to locate and block these messages, and apologize for the appearance of such material. If you stumble upon an ad, please inform us and it will be blocked immediately. The efforts to undermine God's people are at every corner, and take every angle. Thank you for your understanding and help in this matter. When contacting www.israel-a-history-of.com via the Contact Us tab, please include your email address. Thanks to all of those regular visitors and contributors to the website. The submissions and comments grow daily, as well as those visiting the site. Thank you for taking time out of your day, and please give us your insights!